The Alpes provinces - Cottiae, Maritimae, and Poeniae - were three small provinces straddling the Alps between modern France and Italy. Their primary function was to safeguard the alpine passes, especially the communication lines. The reason for having three separate small provinces is unknown, but it seems to have been primarily to avoid giving a single administrator or governor the control of all the critical mountain passes, which would be a major strategic advantage given a rebellion. 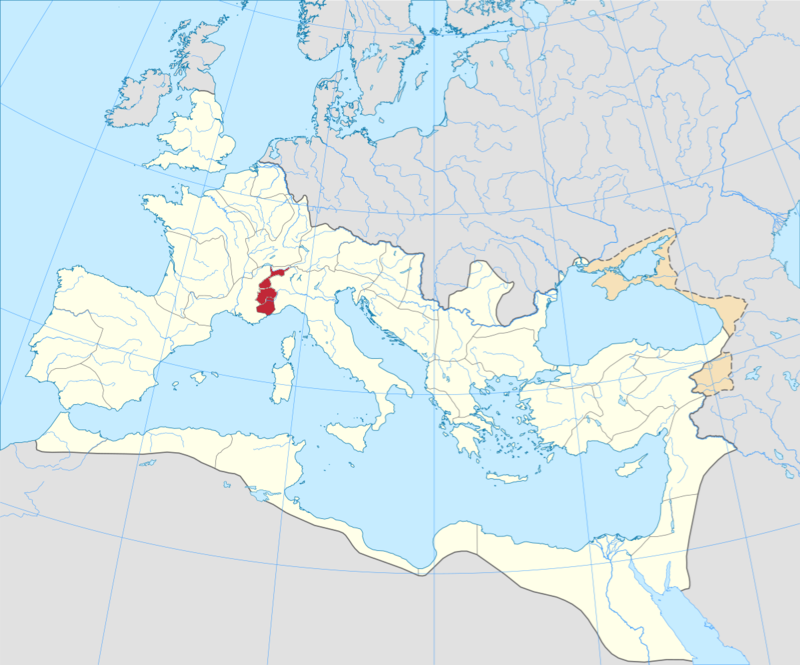 The provincial capitals were Seguso (Cottiae), Cemelenum (Maritimae), and Augusta Praetoria Salassorum (Poeniae). The strongest indigenous tribe were the Salassi, whose territory was annexed by emperor Augustus in 15 BC.